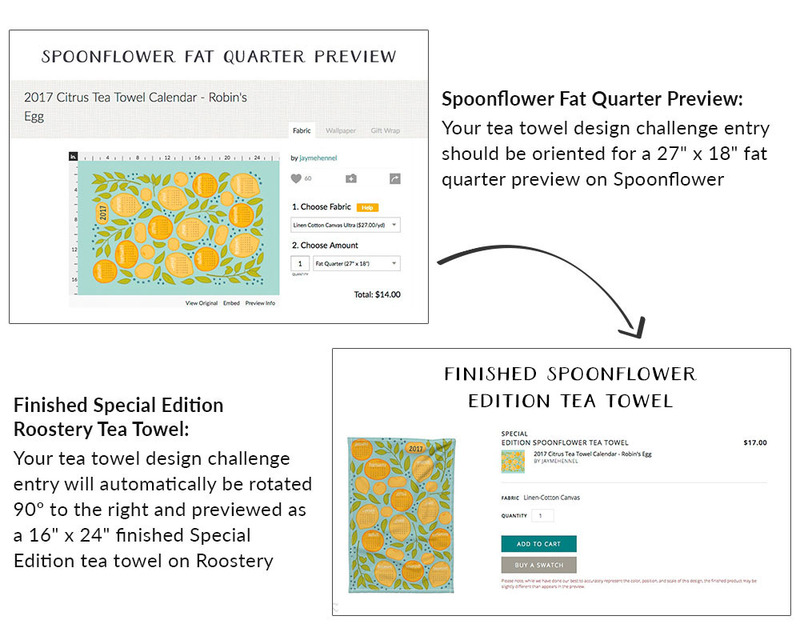 We’re kicking off our month long design challenge series with a Spoonflower tradition: tea towel calendars! For this challenge, create a 2019 calendar to welcome in the new year. 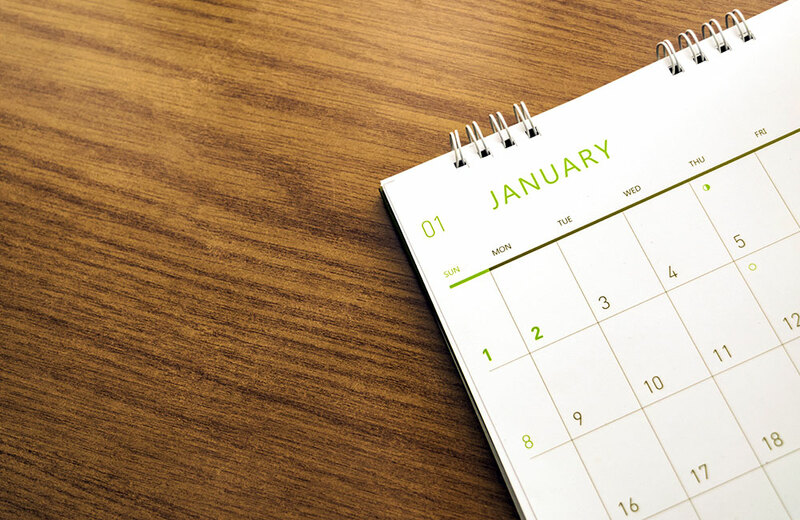 Get a head start with our 2019 calendar templates or create your own. Entries will be submitted at the Linen Cotton Canvas fat quarter size (27″ x 18”) but automatically previewed during voting as a Roostery x Spoonflower Special Edition Tea Towel. Submissions close September 4, 2018, 3 PM eastern daylight time. Voting begins September 6, 2018. See official rules. Pro tip: This is a great time to upload a 2019 revision on your 2018 calendars for the new year or move them to private. 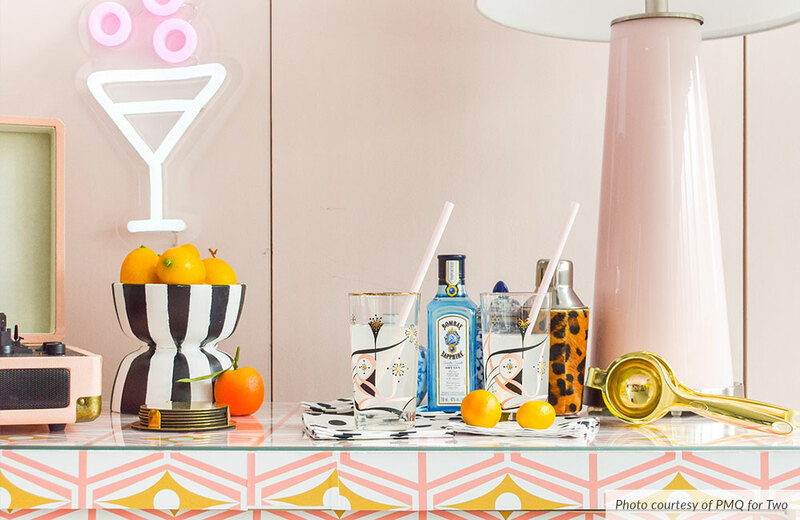 Make a retro bar cart with this DIY tutorial from PMQ for Two! We’re raising our glasses to elevated entertaining spaces in this week’s challenge inspiration. When you’re creating your design, think of what you might find you on a fully stocked bar cart. Will it inspire the perfect craft cocktail recipe, show off your love for tiki culture or give a nod to your vintage glassware collection? Whether you take your martini shaken or stirred, by the end of this week’s challenge we’ll be saying “cheers” to our winner. Entries will be submitted at the Linen Cotton Canvas fat quarter size (27″ x 18”) but automatically previewed during voting as a Roostery x Spoonflower Special Edition Tea Towel. Submissions close September 11, 2018, 3 PM eastern daylight time. Voting begins September 13, 2018. See official rules. We mustache you a question, although to be honest, we’ve considered shaving it for later. Are you as eggcited about this challenge as we are? Inspired by the pun master in all of us, this week’s challenge is taking a playful turn thanks to the jokes that make us giggle. If you’ve been wanting to try your hand at typography, this is the challenge for you! Entries will be submitted at the Linen Cotton Canvas fat quarter size (27″ x 18”) but automatically previewed during voting as a Roostery x Spoonflower Special Edition Tea Towel. Submissions close September 18, 2018, 3 PM eastern daylight time. Voting begins September 20, 2018. See official rules. 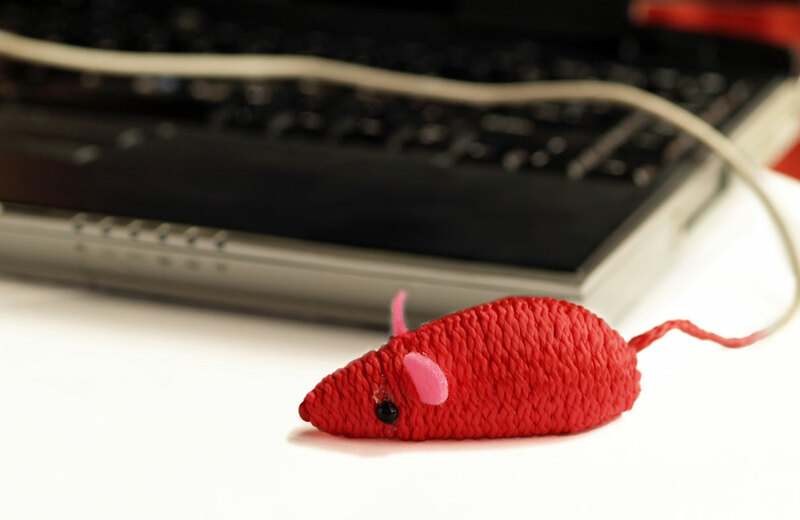 To illuminate the creatures that share our world, create a design that evokes the concept of an animal you love. This week’s design challenge entries will be flying, swimming and even galloping their way onto Roostery tea towels and into your kitchen. 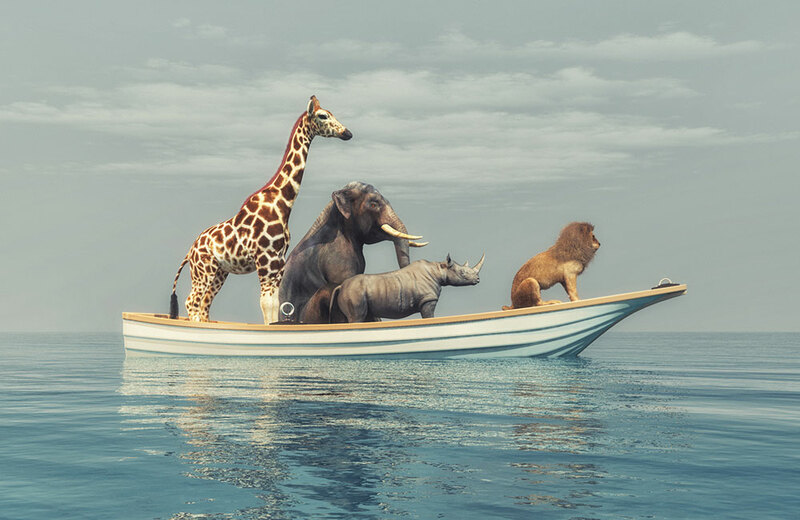 Whether you’re inspired by the anatomical detail of Dürer’s Rhinoceros woodcut or want to be more expressive with your lines, now’s your chance to draw your favorite animal in a new way. Entries will be submitted at the Linen Cotton Canvas fat quarter size (27″ x 18”) but automatically previewed during voting as a Roostery x Spoonflower Special Edition Tea Towel. Submissions close September 25, 2018, 3 PM eastern daylight time. Voting begins September 27, 2018. See official rules. As a Spoonflower tradition, the recipe tea towel challenge is anticipated almost as much as the arrival of the favored dishes to the table. 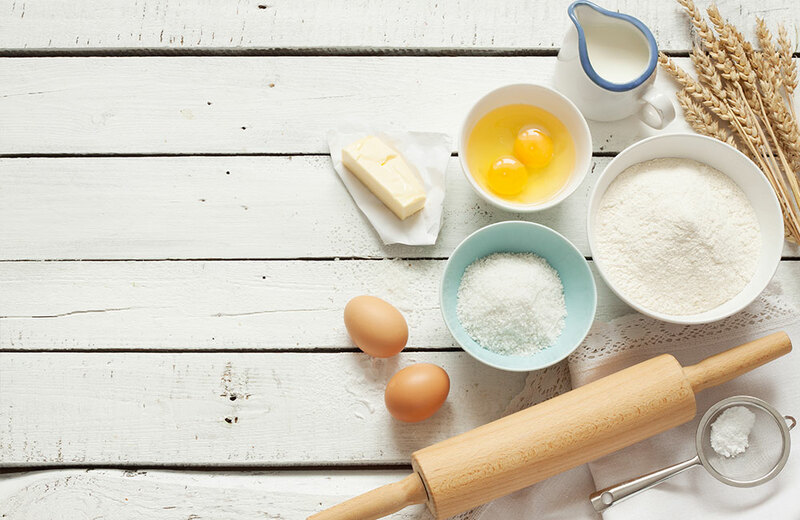 A family recipe can hold so much more meaning than the ingredients that make it, and it can take you back in time after just one bite. During this week’s challenge, share a recipe that you hold near and dear to your heart (and belly!). Whether it’s a Christmas classic or a potluck recipe that’s been passed down for generations, be sure to bring your appetite. Entries will be submitted at the Linen Cotton Canvas fat quarter size (27″ x 18”) but automatically previewed during voting as a Roostery x Spoonflower Special Edition Tea Towel. Submissions close October 2, 2018, 3 PM eastern daylight time. Voting begins October 4, 2018. See official rules. In order to ensure the entirety of your design is captured in a finished Spoonflower Edition tea towel on Roostery, they’ve created a guideline that can be followed to ensure great previews and finished tea towels. A preview of a Linen-Cotton Canvas Fat Quarter on Spoonflower measures 27″ wide x 18″ tall. A finished, hemmed, Spoonflower Edition Roostery tea towel measures 16’’ wide x 24’’ tall. 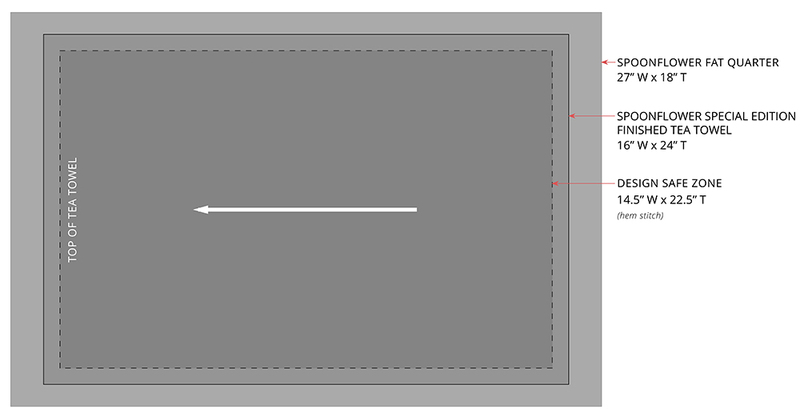 Your design will be automatically rotated 90º clockwise for the Roostery tea towel preview. Following the guidelines below will ensure that your design looks beautiful as both an unfinished Fat Quarter on Spoonflower as well as a finished tea towel. Need a little help? Download the Spoonflower Edition Tea Towel template here and see our guidelines below. Let the background color or pattern extend all the way to the edges! 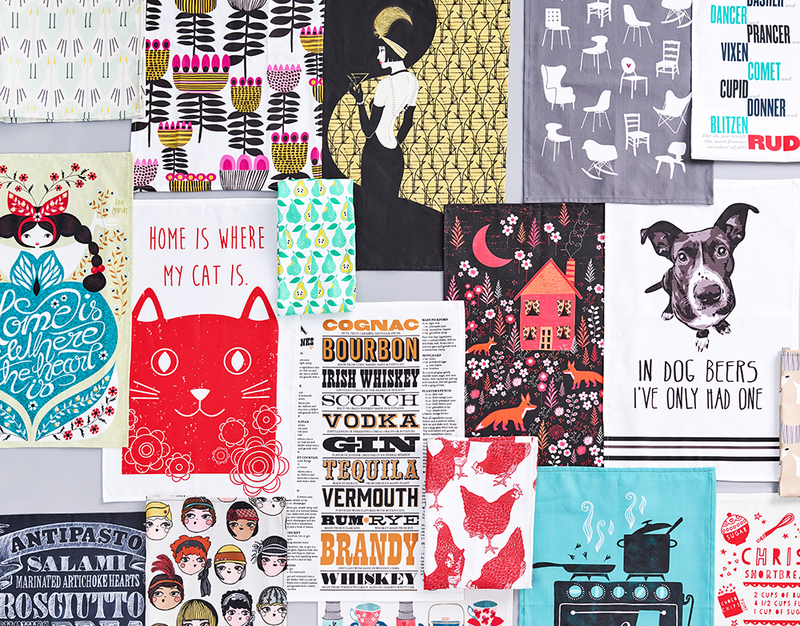 If you still have questions about our tea towel design challenges, send us an email at help@spoonflower.com! 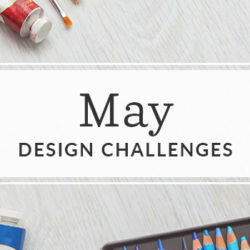 The 1st place winner for all sub-themes will receive $200 in Spoonflower credit, $200 in Roostery credit and one (1) custom Special Edition Spoonflower tea towel in their own winning design from Roostery ($17 value). 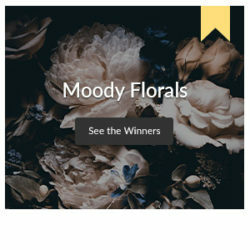 Winner will also receive additional exposure in our email newsletters, professional photography of their printed designs, and social media mentions, the extent of which shall be in Spoonflower’s sole discretion. The 2nd place winner will receive $100 in Spoondollars, $100 in Roostery credit and one custom Linen Cotton Canvas Spoonflower Edition tea towel in their own winning design from Roostery ($17 value). 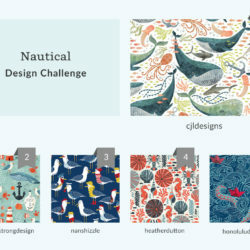 The 3rd place winner will receive $50 in Spoondollars, $50 in Roostery credit and one custom Linen Cotton Canvas Spoonflower Edition tea towel in their own winning design from Roostery ($17 value). 4th through 10th place winners will receive a $20 Spoondollar credit and one custom Linen Cotton Canvas Spoonflower Edition tea towel in their own winning design from Roostery ($17 value). 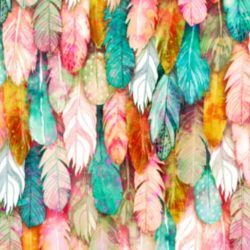 Each of the top 50 entries, determined as set forth above, not receiving one of the foregoing prizes will be automatically proofed for sale in the Spoonflower Marketplace and Roostery (approximately a $5 value) (the “Runner Up Prize”) if winners are verified sellers.